Plasma, which comprises of roughly 55% of blood by volume, consists of a number of different proteins numbering into the thousands, and other substances such as hormones, minerals, etc. Plasma renders a large number of therapeutic uses due to the number of proteins present in plasma. For instance, Albumin, which is commonly used to rejuvenate and maintain blood volume after traumatic injury, during surgery and during the exchange of plasma. Plasma fractionation is a process wherein the different components of blood plasma (a part of blood obtained by blood fractionation) are separated. It acts as a natural raw material which is used in various kinds of life-saving treatments and medications. Plasma fractionation is also used in production of packaging material for industrial applications. The removal or inactivation of viruses and prions is a prime function of plasma fractionation. Increasing use of immunoglobulin in therapeutic areas and prevalence of emphysema & AATD are factors fueling the growth of the world plasma fractionation market. However, the high cost of plasma products, limited reimbursement availability, the significantly adverse side effects associated with these products, along with the emergence of recombinant products (which can be used as an alternative to plasma products) are restraining the growth of the plasma fractionation market. Moreover, high infrastructural costs associate with production, fixed manufacturing costs, and stringent government regulations for plasma products are further restraining the plasma fractionation market growth. A rise in healthcare awareness amongst people all over the world has been a significant driver for the global plasma fractionation market. The process which deals with separation of plasma components, finds a great requirement for treating deadly disorders caused by immunologic deficiencies, infections, and trauma. This requirement is one of the most important drivers for the plasma fractionation market. Rising cases of protein deficiency, especially in underdeveloped regions is a second factor that requires carrying out plasma fractionation to treat the deficiency symptoms. Industrial processes also require incorporating plasma fractionation to manufacture packaging materials. As the industrial sector is experiencing growth in almost all parts the world, the increasing demand for packaging material is contributing towards a positive graph of the global plasma fractionation market. Various treatment processes need the inactivation of viruses and prions, which are chief attributes of plasma fractionation processes. A need for enabling these attributes in the field of molecular biology and associated healthcare practices is largely responsible of the global plasma fractionation market to see a better future. However, high cost of implementing the initial procedures is a predominant restraint that has been greatly affecting the market. Such cost issues might discourage patients from opting for treatment procedures, thus exhibiting a dampening effect on the global plasma fractionation market. Nevertheless, new regulations amended by governmental bodies all over the world promise to reduce the effects of these restraints, thus predicting a bright future for the global plasma fractionation market. Geography-wise, five regions account for the expansion of the global plasma fractionation market, viz. Asia Pacific, Europe, North America, Latin America, and Middle East and Africa. Among these, North America has emerged as a prominent regional segment with leading market shares. This is mainly due to the increasing use of prophylaxis treatment techniques in this region, along with high employment of immunoglobulins to treat neurological diseases in patients. Prophylaxis treatment as well as immunoglobulins are a crucial part of the processes needed to treat associated maladies. This region also has accounted for rise in the number of haemophilic patients, where a need for plasma fractionation is necessary, thus leading towards increased use the necessary devices in the market. As the global plasma fractionation market is still in its nascent stages, a decent yet healthy competitive landscape exists over there. Most of the companies who develop plasma fractionation techniques have embraced prominent strategies such as agreements, collaborations, partnerships, and expansions improve their image as well as presence in this market. The market players are also focusing on improving their product portfolio by extensively working on streamlining the technology used for fractionation processes. 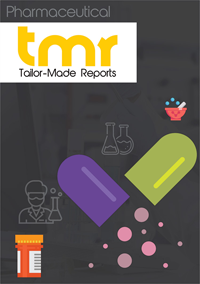 Some of the major players in the global plasma fractionation market are: Green Cross Corporation, CSL, Octapharma, Bio Product Laboratory, Grifols, Kedrion, China Biologic Products, Shanghai RAAS Blood Products, Japan Blood Products Organization, amidst many others. Lastly, the global plasma fractionation market could be broadly divided into various segments based on products, application, end users, and regional analysis. Under applications, the plasma fractionation market showcases neurology is expected hold a leading segment position, as a result of attracting maximum preference and consequent revenue. This could be due to the surging utilization of IVIG in the treatment of various neurological diseases, especially concerning cases that involve the central and peripheral nervous systems.